Made in Indonesia. RITZ crackers have a soft buttery texture and unique taste that sets them apart. RITZ was first trademarked by Nabisco in Australia in 1951. Today, RITZ crackers have become a household name in Australia. RITZ crackers are available in a variety of flavours and formats, including Original, Cheese and Reduced Fat. So now there are even more opportunities to snack on, entertain with and enjoy RITZ crackers. 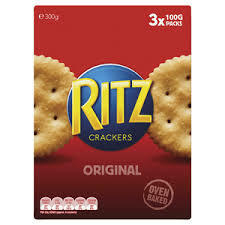 Today, Ritz crackers are enjoyed by millions of Australians with toppings such as cheese and Kraft dips, as well as on their own as a tasty snack. INGREDIENTS: Wheat flour, Vegetable Shortening (Contains Antioxidant (319)), Sugar, Raising Agents (341, 500, 503), Salt, Emulsifier (Soy Lecithin). ALLERGEN INFORMATION: Contains Wheat and Soy. 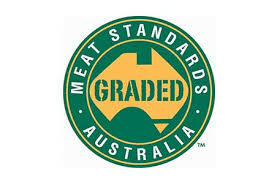 Manufactured on equipment that also processes biscuits that contain peanut, sesame and egg and milk. To resume an unfinished order login and click here or begin a new order. Product has a description or image available. New product with description or image.